Hello there. 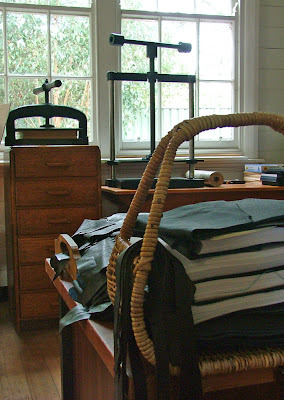 I’m Sonya, from the Sago on Tuesdays bookbindery, in a little village in central Victoria, Australia called Napoleons. 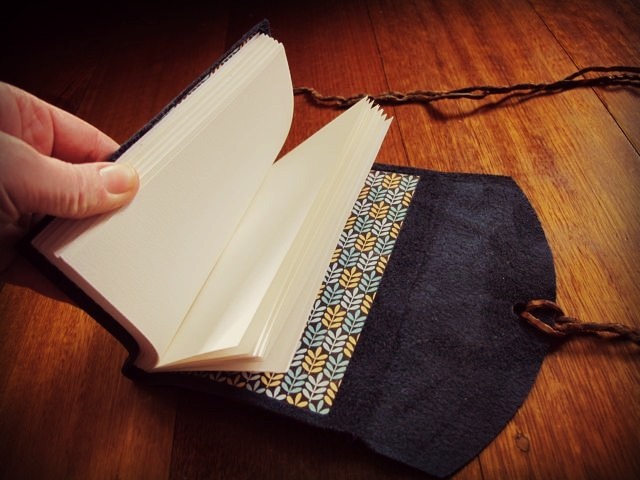 I’m thrilled to be writing a guest post here today for Jodi as part of the delightful Covert Robin artists and handmade gift exchange, which is a wonderful idea to spread the joys of your skills along to others who also have a passion for creating and making treasures by hand. This is the view from my study and guestroom window in my house. It’s the place besides the bindery where I do most of my thinking. I love to watch the birds, sit on those big bluestones under the gum, watch hubby putting together a cubby for our youngest in his spare time – notice anything significant? 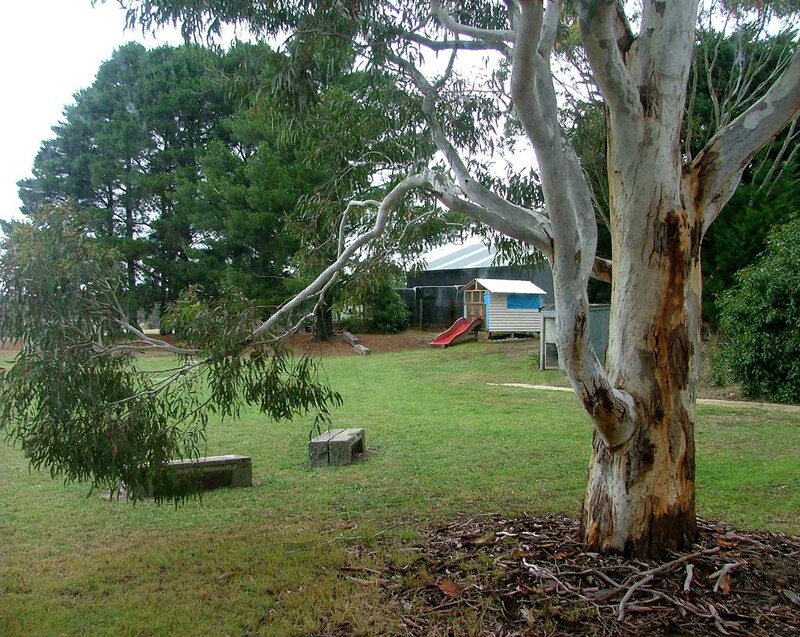 The tree – Jodi seems to love gum trees, and this has to be my favourite tree on our property. Now, see this leather? 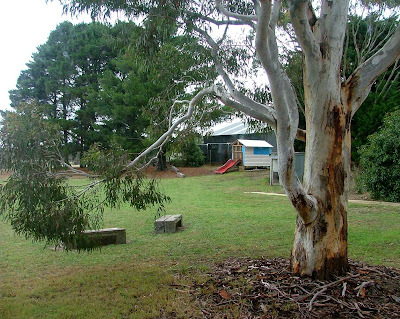 The colour is ‘Eucalypt Mountain Blue’ and is meant to represent the colour of gum covered mountains in the distance in Australia, which often have this blue hue. See the paper? 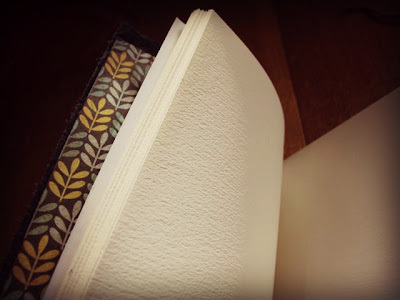 It is a beautiful watercolour paper that a friend sent to me from Italy. I had no plans for it, and as I do not paint (though would love to some day), I have kept it waiting for the right inspiration. 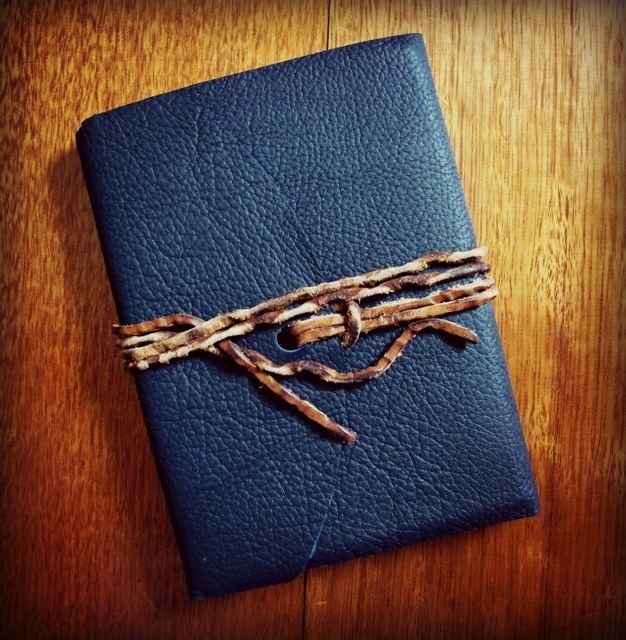 So you see, it is the most serendipitously lovely surprise to have Jodi to bind for – a watercolour field journal in Eucalypt blue leather, stitched under this tree. I can’t tell you how thrilled I was when I heard from Jodi that she received her journal and is keen to use it for her painting. 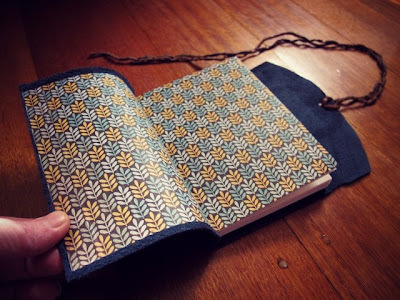 The gift exchange challenge arranged by Rachael, from imagine gnats has been a portal to friendship and such fulfilling fun – and Jodi being so close in Melbourne too – I highly recommend sharing your craft and art with others, as we have here. 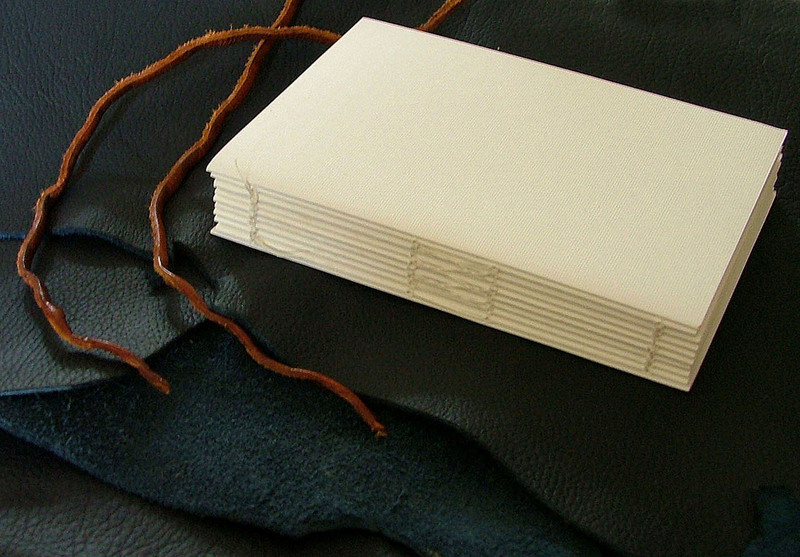 Hand made books are a companion for life, and beyond. I make them with my hands, for your hands. Jodi, as you turn the pages, touch the cover, smell the leather and paint your life upon the page, know that it has been a pleasure. Look at that beautiful watercolour paper just waiting for a brush and ink! And those gorgeous endpapers - I'm in heaven! Please check out Sonya's website where you can take a tour of her schoolhouse bindery and find out why her business is called Sago on Tuesdays. It really is the most wonderful story. Also, check out Sago on Tuesdays on Etsy. Everything is so gorgeous! Thanks again to Sonya, Rachael and my own Covert Robin, Kara, for an all-round wonderful experience in this mystery gift exchange! I'm Jodi Wiley - artist, writer. This is my blog. Welcome. All images and words copyright Jodi Wiley (unless otherwise stated). Please do not reproduce any part without written permission. Please link back when referencing posts or images. Thank you. (c) Jodi Wiley. Simple theme. Powered by Blogger.